Remember the Patriotic tees I did for #StyleSteals Monday feature? Well it is back again if you missed it! 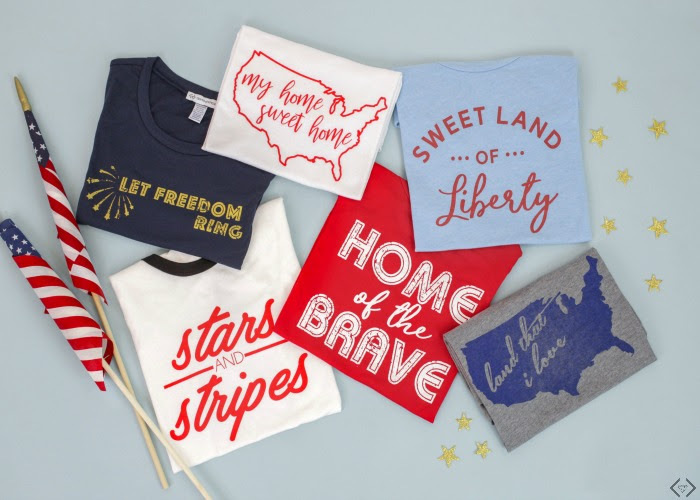 You live in the land of the free and home of the brave, so why not celebrate all summer long in these relaxed fit patriotic tees! These are perfect to rock at fireworks, parades, and barbecues! With code: JULY4TH tees are ONLY $16.95! + FREE shipping! Theyare offering 6 different styles with sizes ranging from S-XXL! The code is JULY4TH and it makes the final price just $16.95! Don't forget the FREE Shipping! Code is active 05/24 until July 4th at midnight!